If you see a coyote, do not run. Stay calm and collected. If they approach, keep your eye on them and calmly walk away. If possible, find an adult and stay close to them. Love them at a distance. The best thing you can do to keep coyotes safe and happy is to leave them alone. It is not a good idea to follow them, get closer to take pictures of them, or feed them. If you notice that your neighbour is feeding coyotes by accident, have your parents speak to them. The best way to manage coyotes is with people power. The more people that are educated in your community, the safer it will be for everyone. 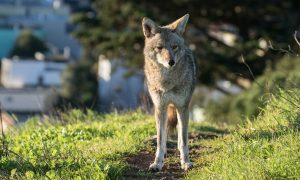 Make sure you spread the word to never feed coyotes or other urban wildlife. Feeding coyotes is bad for the health and safety of both coyote and community. 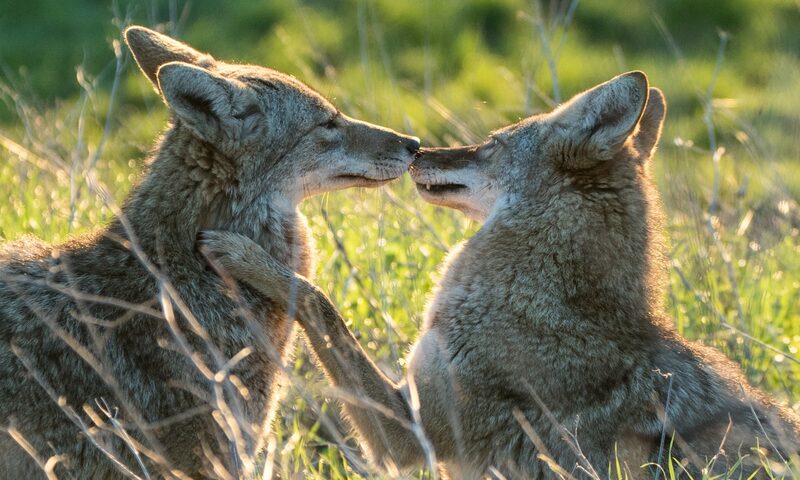 When coyotes are fed, they lose their natural fear of people and may become aggressive. If a coyote becomes aggressive, it will have to be destroyed.